The 2018 Audi A3 is the brand’s smallest sedan, slotted below the compact A4. The sub-compact A3 offers shoppers on a budget a gateway into the brand, with a starting MSRP of $31,950. With standard features like leather and heated seats, it offers a compelling choice for shoppers seeking an upgrade over high-end trims of mainstream mid-size sedans, as long as the small cabin still fits. 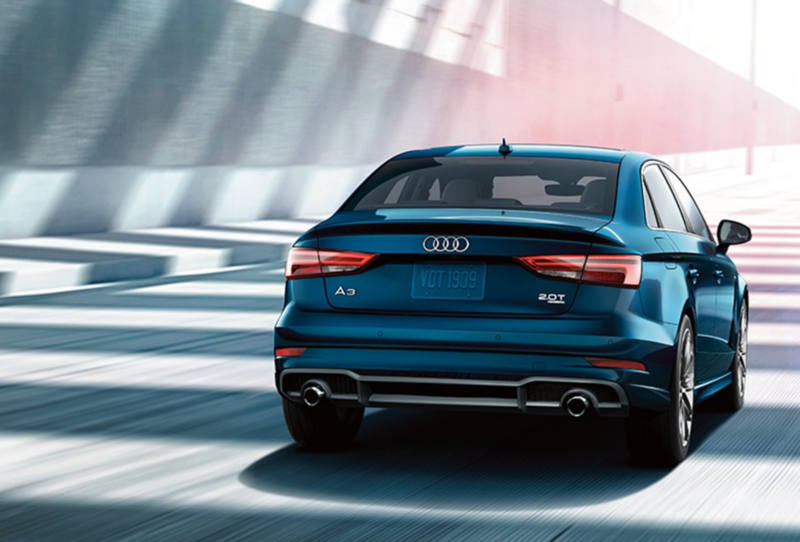 Safety Score: The 2018 Audi A3 was awarded the Insurance Institute for Highway Safety’s Top Safety Pick distinction. Summary: The 2018 Audi A3 edges out the Mercedes-Benz CLA-Class as an all-round more practical choice. It offers more interior room, a more comfortable and quiet ride, and more standard features. Although it lacks the manual transmission offered on its platformmate, the Volkswagen Golf GTI, the 2018 Audi A3 serves up more formal and mature styling inside and out.